As negotiations on the Paris Agreement rules approach the finish line, it will be important to ensure that future climate mitigation projects respect human rights and the environment. Ever since flood waters started to rise at the Barro Blanco hydro dam site on the Tabasará river in Panama, destroying agricultural lands, cultural sites, and numerous homes, life has become a daily struggle for local residents. Stagnant waters, too polluted to swim in, have attracted mosquitoes, previously unknown to the area, and flooded roads make leaving the village very difficult. In the latest development, thousands of fish were found dead on the shores of the river, meaning a loss of an important source of protein. The Barro Blanco project was developed to generate carbon credits that rich countries would use to compensate for their pollution under the UN’s Clean Development Mechanism (CDM). After years of pressure from both local communities and global civil society organisations, the Panamanian government deregistered the project from the CDM in 2016. The deregistration doesn’t, however, stop the dam from being built, nor does it repair the environmental and social destruction that it has caused. Despite all the facts pointing towards human rights violations as well as serious and irreversible environmental damage, local communities are still awaiting a United Nations special investigation they have been requesting for a long time. 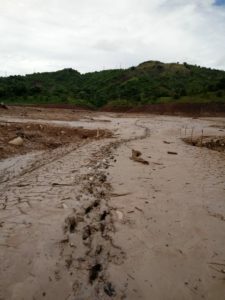 As dramatic as it is, Barro Blanco is but one example of how lack of collaboration between the local population and project developers can have disastrous consequences. There are many other projects benefiting from international carbon market mechanisms that have had severe adverse impacts on local communities. To correct this and ensure that future projects do not harm local people or the environment, better involvement of all those impacted by the projects must be guaranteed. As the saying goes, “prevention is the best medicine”. Instead of spending vast sums of money to fight legal or public relations battles on specific projects, project developers should adopt a “prevention” approach which means involving all stakeholders in the design and implementation of the projects. By working together with local communities and listening to their concerns, project developers can prevent damages before these materialise. To achieve this, decision-making around mitigation projects should follow a 9-step process to involve local communities with emphasis on the importance of two-way communication between stakeholders and project developers. This requires understanding cultural, linguistic, religious, and any other types of barriers which might prevent effective communication. By overcoming these hurdles, and establishing a trusted relationship between parties, project developers can improve their projects and prevent future litigations. Ensuring that effective and high-quality stakeholder consultations take place is also important for funders and buyers of carbon credits, as it shows that measures have been implemented to avoid that the projects have negative impacts on people or the environment. In finalising the Paris rulebook, international carbon markets are an important negotiation stream to watch out for in order to prevent future Barro Blancos. Robust governance is necessary to ensure that any future climate mitigation project goes beyond “not doing harm” and truly drives sustainable development while protecting human rights and the environment.